A New Workshop from Road Unraveled! Innovative. Productive. Engaged. Every employee strives to define themselves with these three words, every manager wants a team that embodies them, and every company wants their culture to exemplify them. There is one super-charged benefit your company may not be maximizing that can inspire each member of your team—and the company as a whole—to achieve them all. 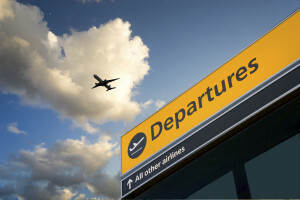 If you want an innovative, productive, engaged company, you need to foster a vacation culture. To foster a vacation culture, you need the Business of Vacation™. Ready to unleash the power of an innovative, productive, engaged workforce? Contact us today to start the conversation! The Business of Vacation workshops are offered through Protos Learning, LLC, a professional learning and performance company led by Road Unraveled’s Stephanie Hubka. We create meaningful partnerships with organizations committed to encouraging employees to perform at their very best. Experience. We bring decades of training and organizational development experience to every workshop we offer. Stephanie is a Certified Professional in Learning and Performance (CPLP), an accomplished training practitioner and speaker, and the managing partner of Protos Learning, LLC. Adam specializes in onboarding and has worked with numerous organizations in the corporate, non-profit, and government spaces. Click here to learn more about Stephanie and Protos Learning. Passion. For a decade, we have been using our vacation time—averaging just 17 days each year—to explore 7 continents, 65 countries, and all 50 US states. Well-planned and well-used time off has contributed to our on-the-job productivity, focus, and creativity. We’ve seen first-hand how companies that encourage employees to use vacation time benefit from increased productivity and higher morale. We’re passionate about helping every company create the kind of culture that attracts, retains, and inspires people to do their very best work. Commitment. Every workshop we offer is fully customized to reflect our partner company’s unique mission, goals, strengths, and challenges. We are committed to your success, and by getting to know you we can craft an experience that will recharge your staff and your workplace. We’re excited to use the knowledge we’ve gained through our years of extensive part-time travel and real-world workplace presentations to craft an engaging, transformative experience for you and your business. 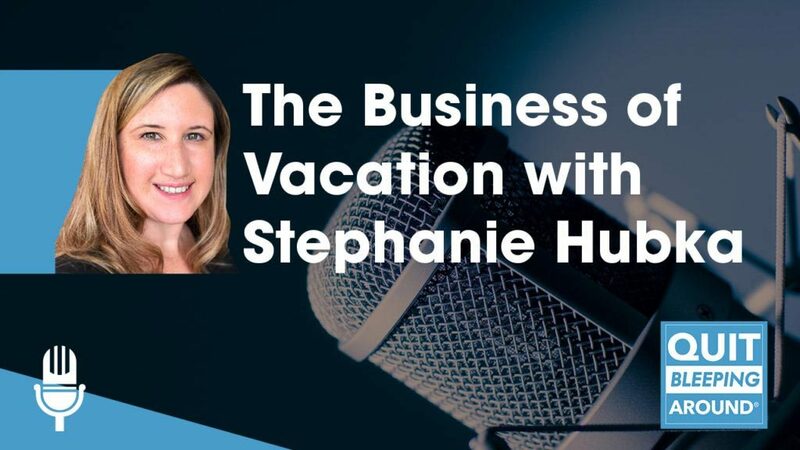 Stephanie appeared on the Quit Bleeping Around podcast, hosted by author and former FBI analyst Christina Eanes, to discuss why vacation might be the secret to your professional success. Listen to the full interview below!